April 3, 1938: Two articles. 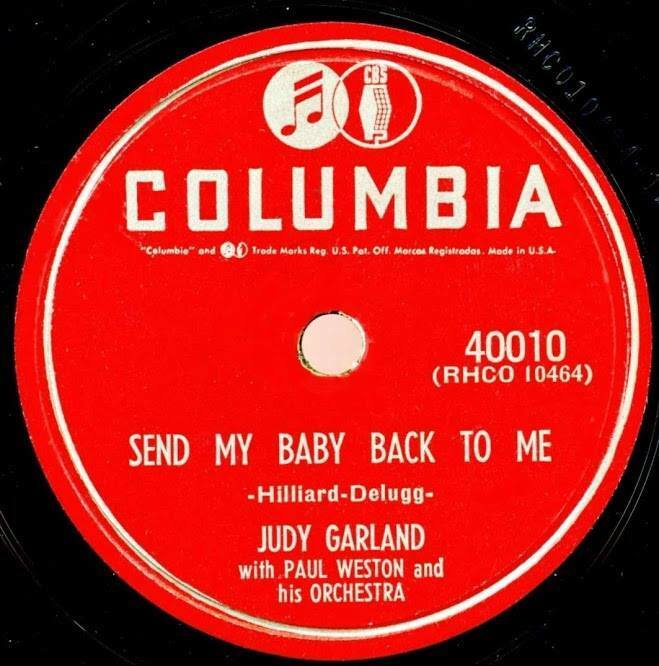 The first notes that Judy would be returning to the “Good News of 1938” radio program on Thursday, April 7th. Judy was on her way back from her successful Everybody Sing tour. The second is a fun article about Judy’s Everybody Sing co-star, Lynne Carver. April 3, 1940: Judy started work on her next film, Strike Up The Band, while at the same time working on Andy Hardy Meets Debutante. 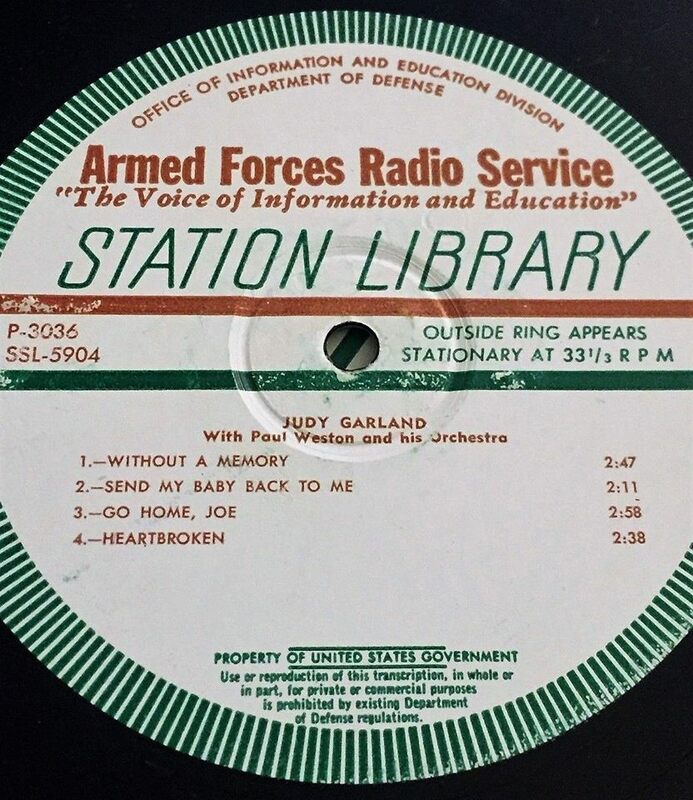 On this day, for Strike Up The Band, Judy had a 10:00 a.m. call, dismissed: 2:15 p.m. She rehearsed the “Nobody” number. 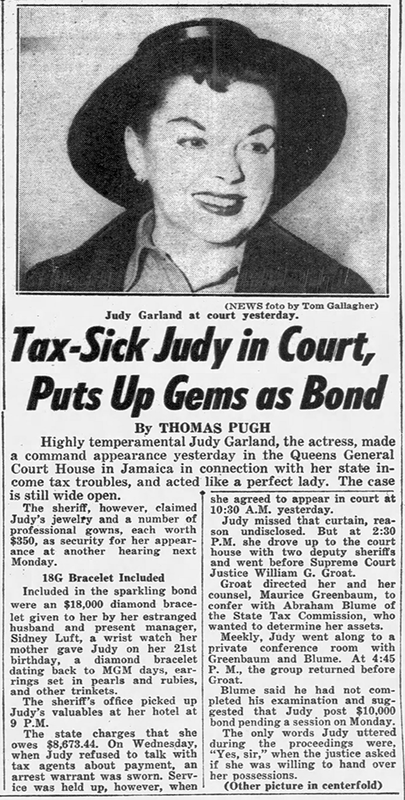 April 3, 1942: A busy day for Judy. In the day she had more filming on For Me And My Gal, specifically the “Interior Backstage Dressing Room” and “Auditorium” sets. 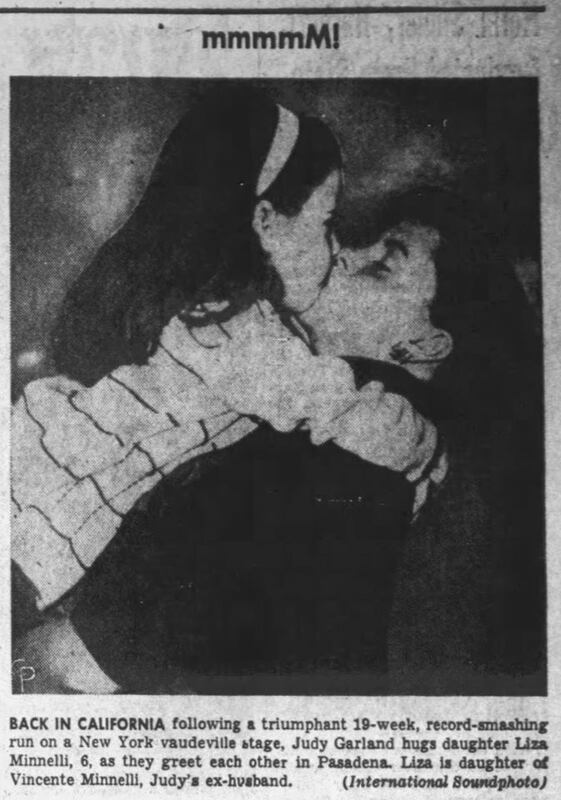 Time called: 10:30 a.m.; dismissed: 3:40 p.m. Photo above: Judy and Richard Quine in a scene from the film. 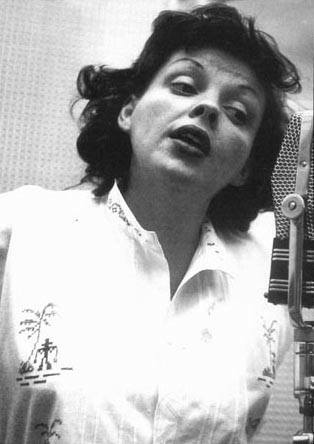 That night, from 8:30 to 11:30 p.m., Judy had a recording session at Decca Records. 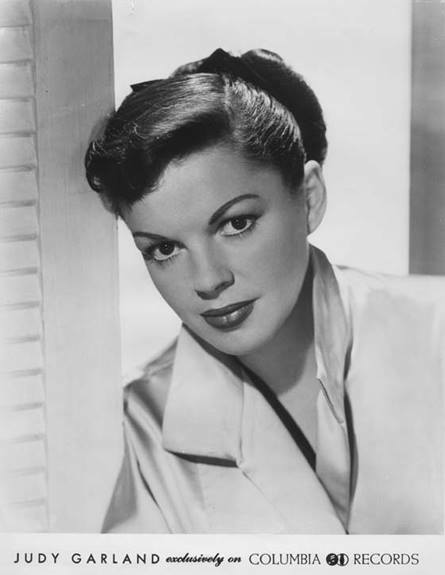 She recorded four songs in the following order: “The Last Call For Love”; “Poor You”; “On The Sunny Side of the Street” and “Poor Little Rich Girl.” The first two were released in June 1942, and the last two were saved for the “Judy Garland Second Souvenir” album, released on May 20, 1943. 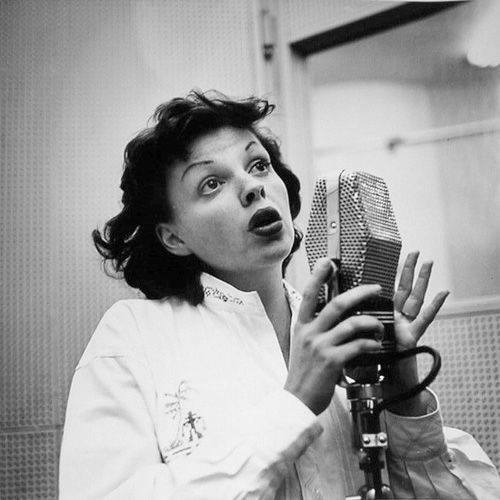 April 3, 1943: Judy appeared on the “Command Performance” radio show, “Episode 61,” with Bob Hope as emcee. 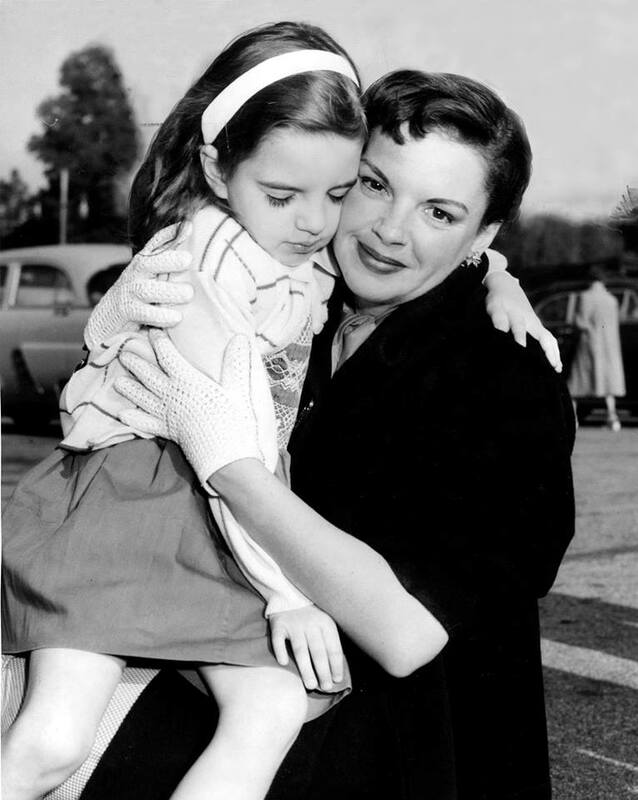 Earlier in the day, Judy was out sick from the filming of Girl Crazy. Perhaps she was saving her strength for the radio show. 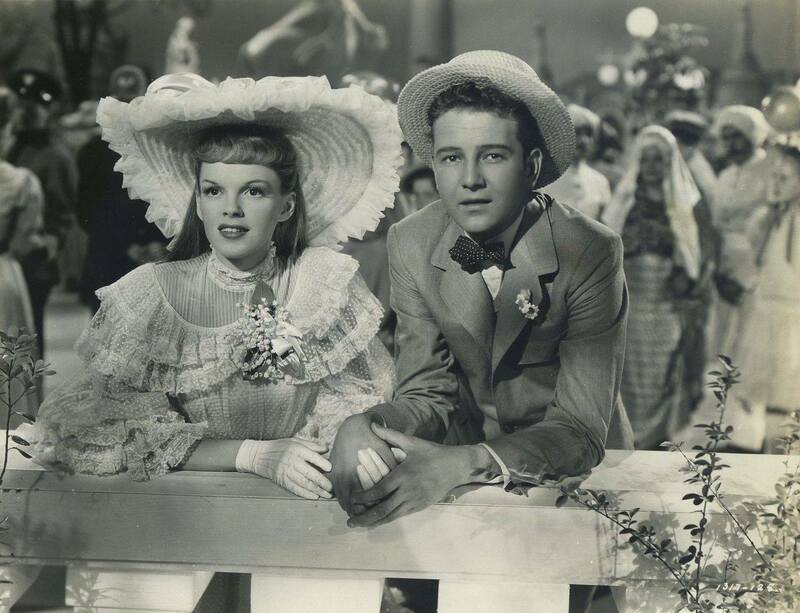 April 3, 1944: Meet Me In St. Louis filming consisted of scenes on the “Exterior St. Louis Fair” set. 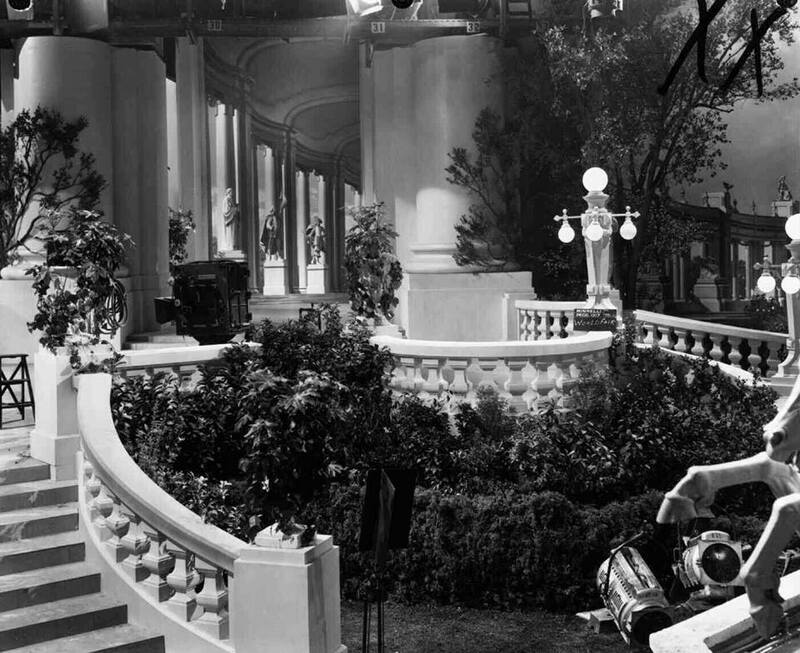 Time called: 10 a.m.; ready: 10:25 a.m.; dismissed: 5:30 p.m.
April 3, 1945: Filming continued on The Harvey Girls, specifically the “Exterior Harvey House” and “Exterior Alhambra” sets. 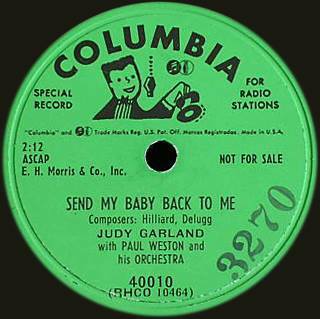 Time called: 7:30 p.m.; Judy arrived at 7:50 p.m.; dismissed: 9:58 p.m.
April 3, 1952: Judy’s returned to California after spending time in Palm Beach, Florida with husband-to-be Sid Luft. 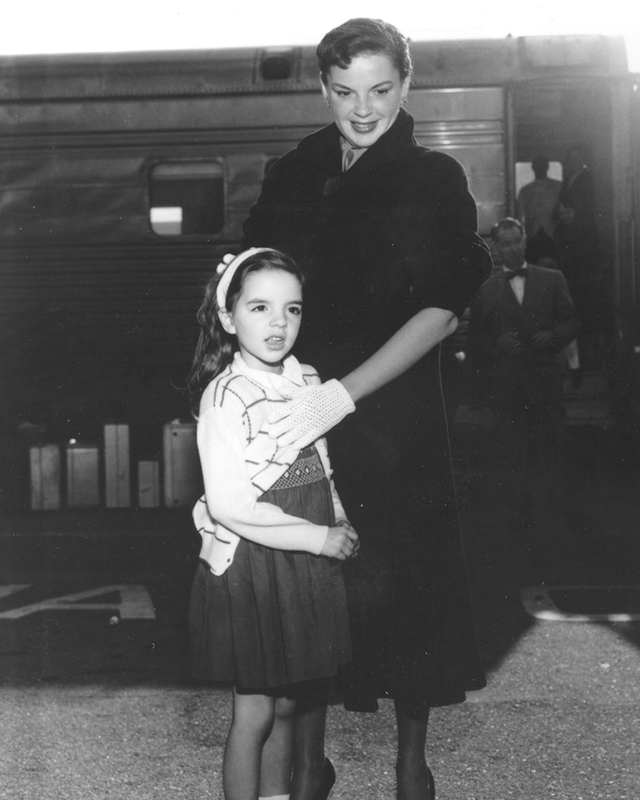 Judy was met by Liza and quite a few fans. 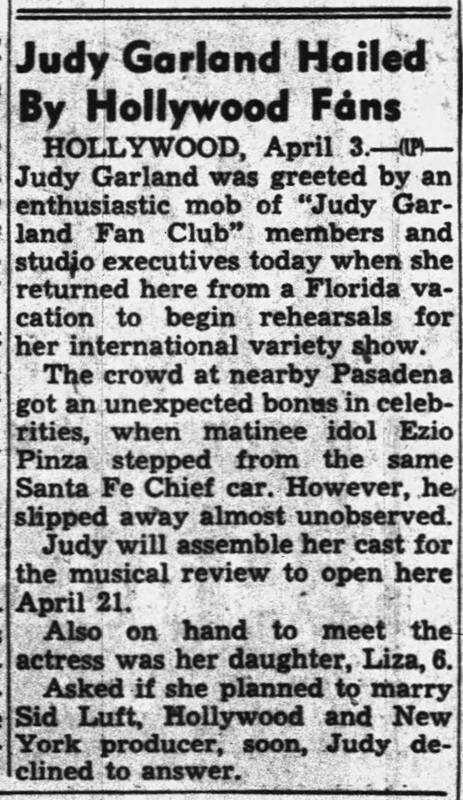 This article printed the following day describes Judy’s anger towards a rude reporter, the number of fans on hand to greet her (along with Liza, of course), her weight, and the fact that she took all the attention away from Ezio Pinza. 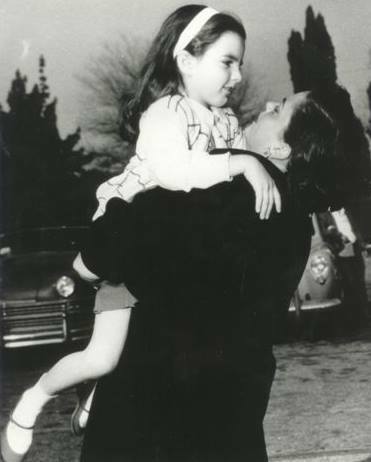 Within minutes she stole the show from Matinee Idol Ezio Pinza, was smothered with hugs and kisses by her daughter Liza, 6, and snapped angry words at a woman reporter over when – and whether – Judy is going to be married to Sid Luft, her business partner. The actress and Pinza both arrived on the Santa Fe Chief at Pasadena. 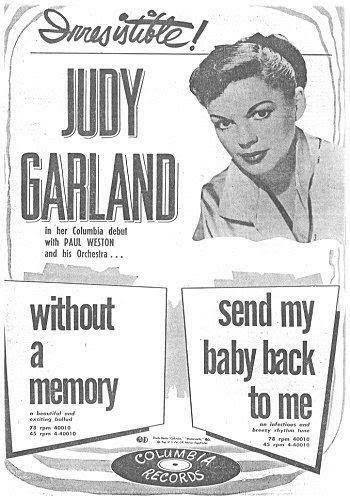 Judy was med by relatives, studio executives and fans. Pinza slipped away almost unnoticed. 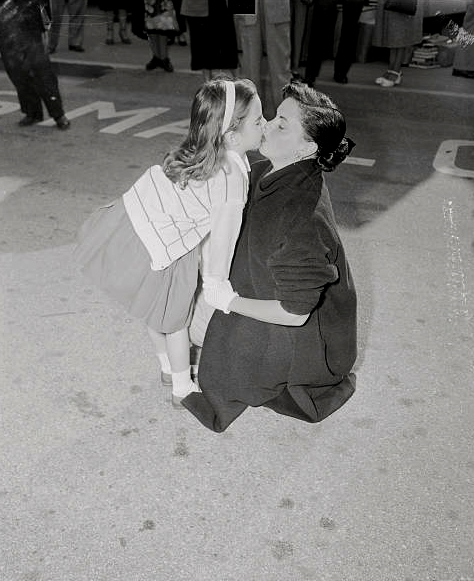 Liza dashed from the crowd to be swept into her mother’s arms while flashbulbs when off. Then the reporters moved in. “How dare you ask questions like that in front of my child!” Judy snapped, and walked off to a waiting limousine, followed by Liza, entourage, and fans. Miss Garland is expected to go into almost immediate rehearsal for the show which opens April 21 in the Philharmonic Auditorium under the sponsorship of the Los Angeles Civic Light Opera Association as its 15th anniversary preseason program. It will be the same show in which she set new records in London and New York. 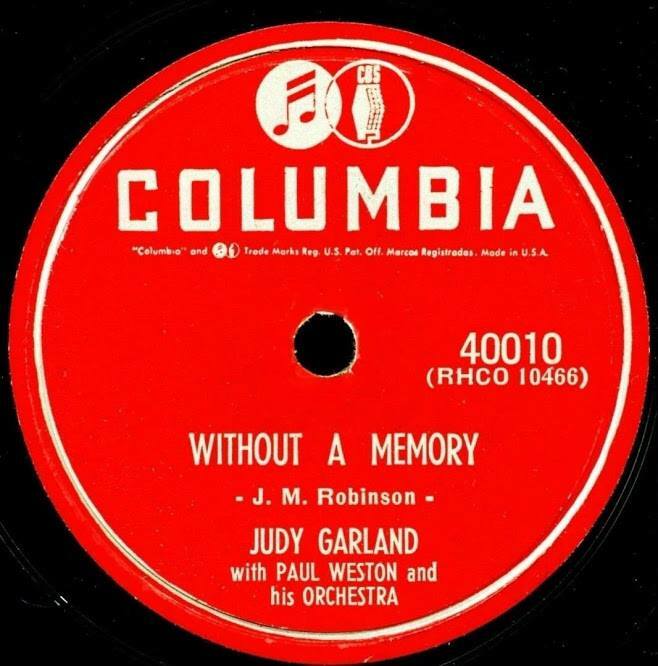 April 3, 1953: Judy had her first recording session for a record in 5 1/2 years when she recorded all four songs contracted for Columbia Records. 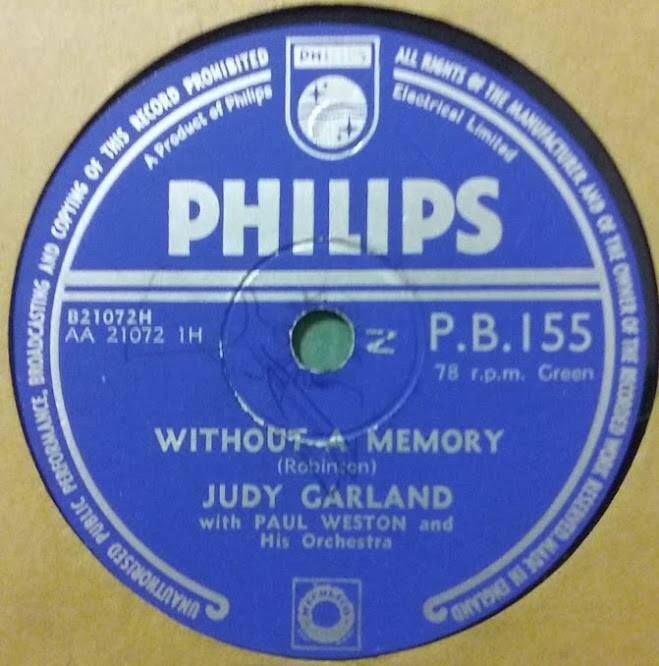 Judy completed the songs in thirty takes in a three-hour session. This was her first time recording for a label since her last recording session for Decca Records on November 15, 1947. 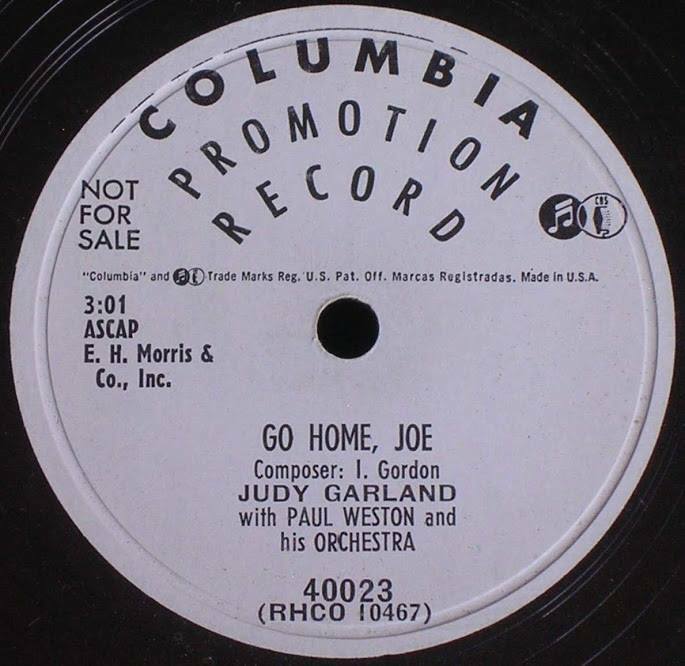 The songs recorded (with Paul Weston and his Orchestra) were: “Send My Baby Back To Me”; “Without A Memory”; “Go Home, Joe”; and “Heartbroken.” The first two were released on May 4, 1953, and the second two were released on June 29, 1953. 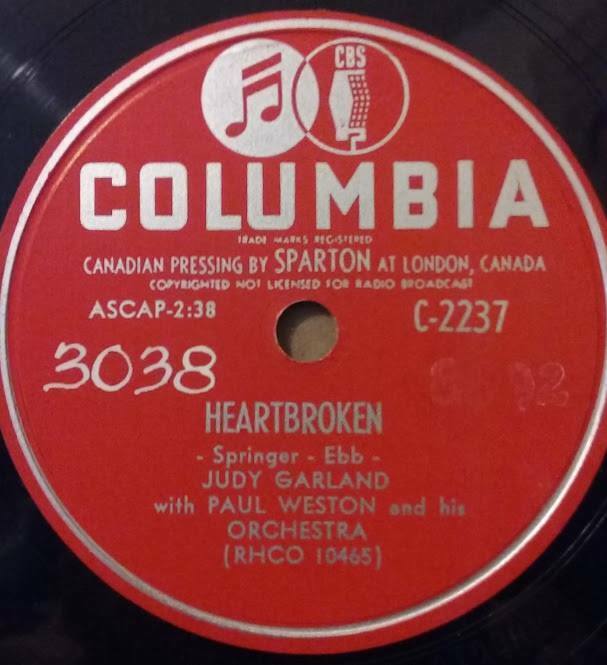 Columbia Records also released the soundtrack album of A Star Is Born in 1953, which has never been out of print. 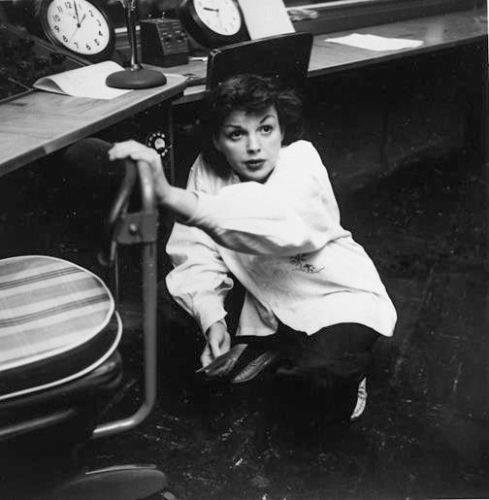 Photos: Judy at the Columbia Records recording studio; promotional photo and ad released by the label; and record labels from the Rick Smith Collection. Thanks, Rick! 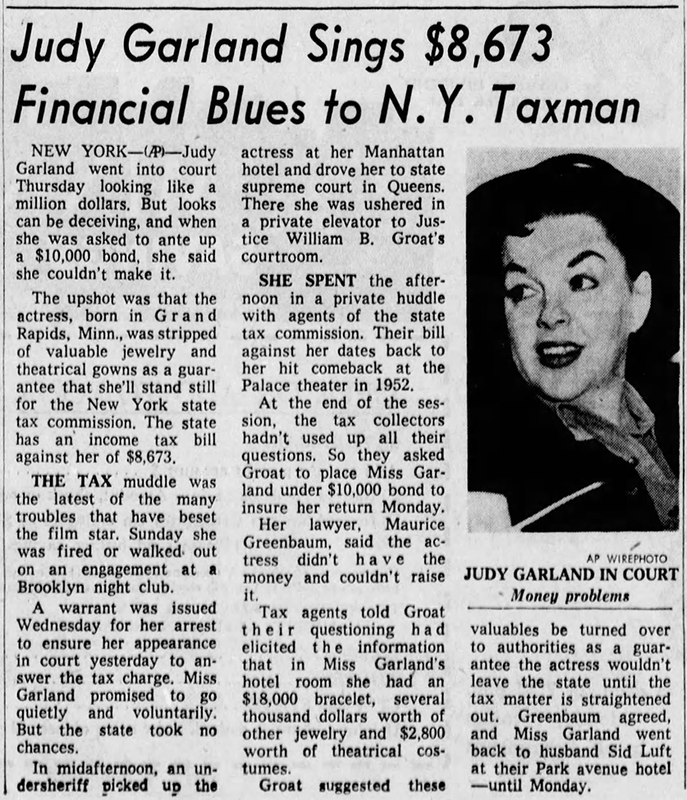 April 3, 1958: At 2:30 p.m. (late, she was due at 10:30 a.m.), Judy appeared at the Supreme Court House in Jamaica, Queens, New York, to answer charges about back tax payments. A warrant had been issued the day before (April 2nd). 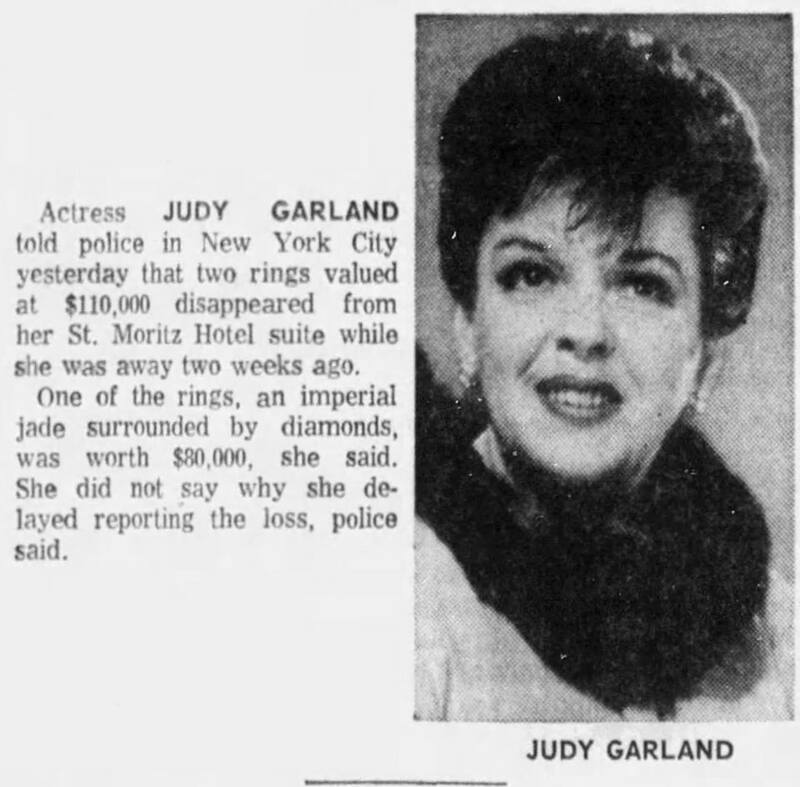 Judy was forced to put up jewelry and some gowns as security for her appearance at the upcoming hearing scheduled for Monday, April 7th. 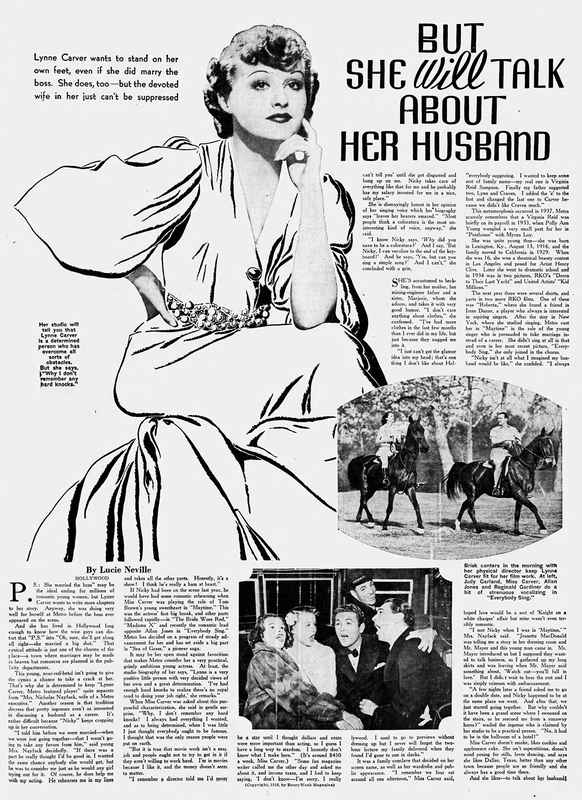 Included in “the sparkling bond was an $18,000 diamond bracelet give to her by her estranged husband and present manager, Sidney Luft, a wristwatch her mother gave Judy on her 21st birthday, a diamond bracelet dating back to MGM days, earrings set in pearls and rubies, and other trinkets.” She owed $8,673.44, but the bond was $10k. April 3, 1963: Judy, Sid, Lorna, and Joe attended Liza’s second-night performance of “Best Foot Forward.” Judy kept away from the opening night so as not to distract from Liza’s big night although the “official” reason given was that she missed her flight to New York. 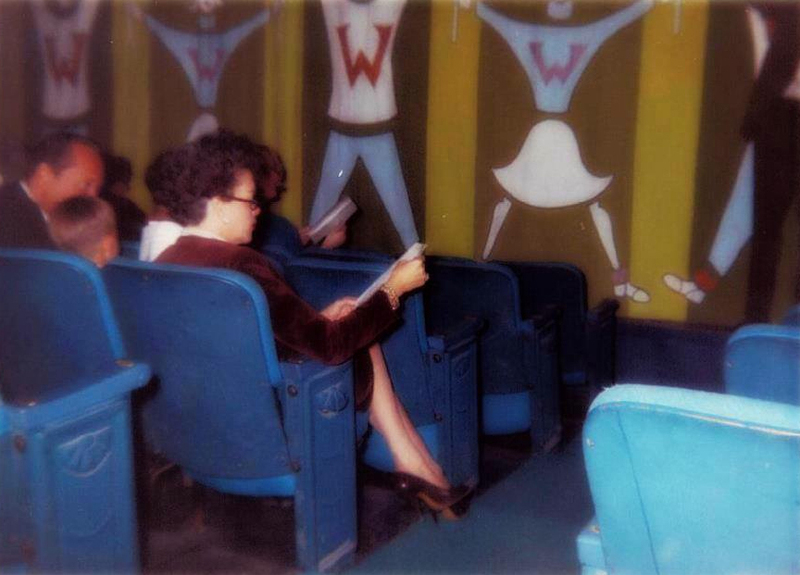 Photo: Judy in the audience of the show, with Joey and Sid to her left. April 3, 1966: Judy taped her last two songs for “The Hollywood Palace” – “Comes Once In A Lifetime” and “By Myself.” This was the last time Judy taped a song for primetime, network broadcasting. This completed her work for the show, which aired on May 7th on ABC-TV. 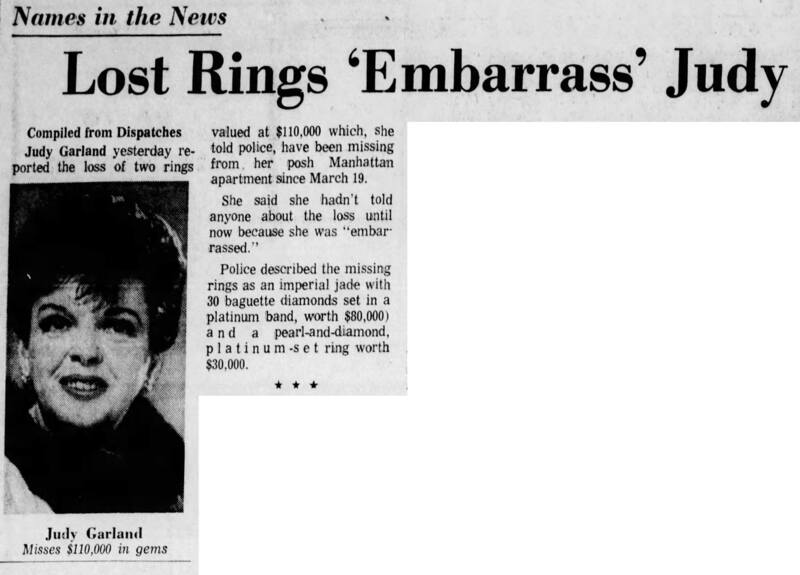 April 3, 1968: Judy filed a report with the West 54th Street police station – near the St. Moritz (where Judy was living) – and said two rings vanished March 19. She said they were last seen on St. Patrick’s Day, March 17, and on March 18 she had spent one day at St. Claire’s Hosptial for “a day of rest,” and when she returned on march 19, she noticed they were gone. judy had obviously forgotten that Tom had pawned them so her hospital and hotel bills could be paid, per her instructions. April 3, 1969: Mickey Deans (Judy’s fifth husband) and his lawyer George Eldridge went to court to keep A Day in the Life of Judy Garland in London; the film was allowed to return to Sweden. So Deans and Eldridge flew to Sweden immediately, on the same flight as Arne Stivell. In Sweden, a copyright law was found that made it a criminal offense to show any of the disputed film footage there. When Deans returned home to London, he found that Judy’s representative in France had booked her at the Olympia Theater in Paris for May 8. Deans says he then made unreasonable demands deliberately to cancel the concert; surviving notes seemingly based on cancellation on illness, as it was rescheduled for May 19, then that date was also canceled, on May 15. Other concerts contemplated at this time were for dates in Italy, Spain, Switzerland, and South Africa, although none of them happened. 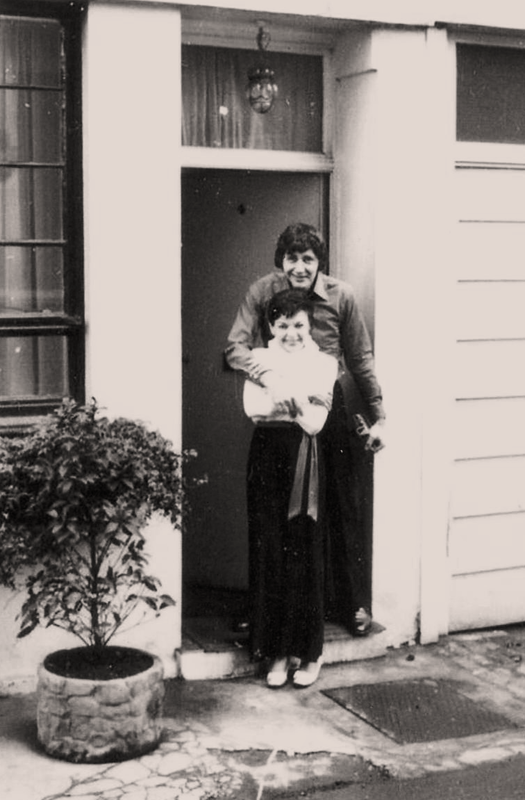 Photo: Judy and Deans at the cottage they were living in at 4 Cadogan Lane, London, England in March 1969.